Happy Fantabulous Friday! I'm actually posting my Friday Freebie on Friday. Woohoo! I have such a great weekend planned...I'm headed to *Chicago* in the morning with my friend Christina to attend the Daily Five Conference!! I've also got my winner for my 300 follower giveaway! CHICAGO!! I love Chicago and I love Daily Five so this weekend is going to be amazing. I'm sooooo excited! Are any of you headed to the Daily Five Conference? It's going to be 4 days. Daily Five on Sunday, Cafe on Monday, Daily Five on Tuesday, and Cafe on Wednesday. We're just going to the Cafe part on Monday. We've both used Daily Five for a few years, but want to learn more about Cafe. Maybe we could have a mini blogger meet-up?? We both told our students that we were going to be traveling to Chicago this weekend together. I told my kiddos that Mrs. Wagers and I are really tight...they thought that was so funny! I also told them she's going to sing our phonics poems to me to keep me awake for the long drive!! I have several wonderful freebies this week. 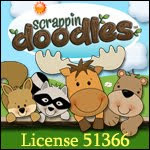 I like to share quality freebies that I find through Pinterest or Teachers Pay Teachers for my Fantabulous Friday Freebies. Teaching is a very collaborative field so I want to share some of my great finds. 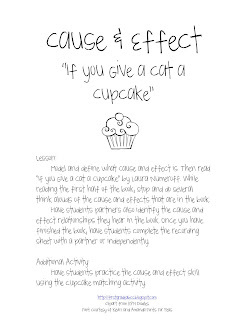 Katie at Teach Love Laugh created these two activities to go with If You Give a Cat a Cupcake. They are quick, easy, and fun to do. Click the picture to go download it. 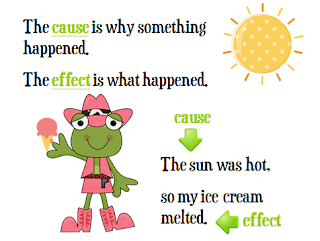 Heather at Second Grade Perks created this adorable poster which I used as part of my anchor chart for cause and effect. Click the picture to go download. 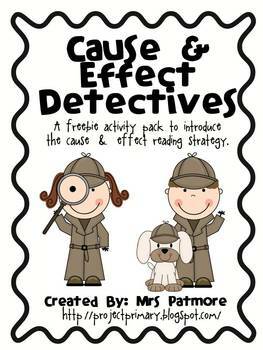 Mrs. Patmore created this great Cause and Effect Detectives pack. We used this pack this week too as we became detectives. My kiddos loved it. Click the picture to download. Enjoy these freebies! Make sure you come back and visit every Friday for my Fantabulous Freebies! Also, if you download one of these wonderful freebies, please let the creator know! It's always nice to hear that other teachers are using your materials and appreciate your hard work! Congratulations to Heather Nance for winning my 300 Follower Giveaway! I will be emailing you soon Heather so I can give you your prizes! I'm off to go pack for Chicago. I have some laundry to finish up and then packing! So excited to meet The 2 Sisters! I'm sure I'll be blogging about it once we get back. If you know of anyone else going, I'd love to know! What a great conference that will be. Take lots of great notes! You've been BOO-ed! Head over to my blog to participate in this fun linky party!